I’m going to ask you to do something very important, but a bit touristy, on your next trip. Take pictures of your food!! Sure, it’s a tad bit embarrassing to whip out your phone or camera and snap away at your dish, but how else are you going to remember how you gained all those well-deserved pounds?! When I came back from a two week trip to Italy, I ONLY posted pictures of the food I ate. Almost 1/3 of those pics were of gelato! ….no judging! 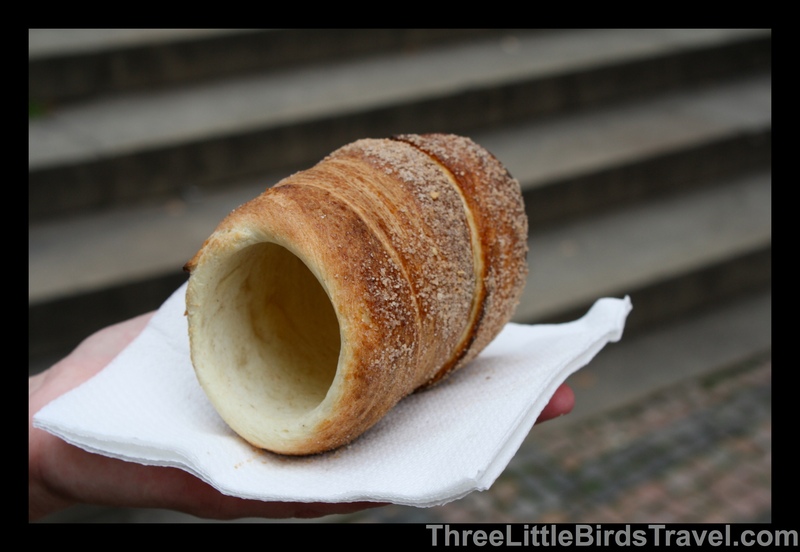 In celebration of all the well-deserved pounds I’ve maybe gained, I’m starting off a new section of my blog, Travel Bites, with the most amazing thing I ate in Prague, Czech Republic. 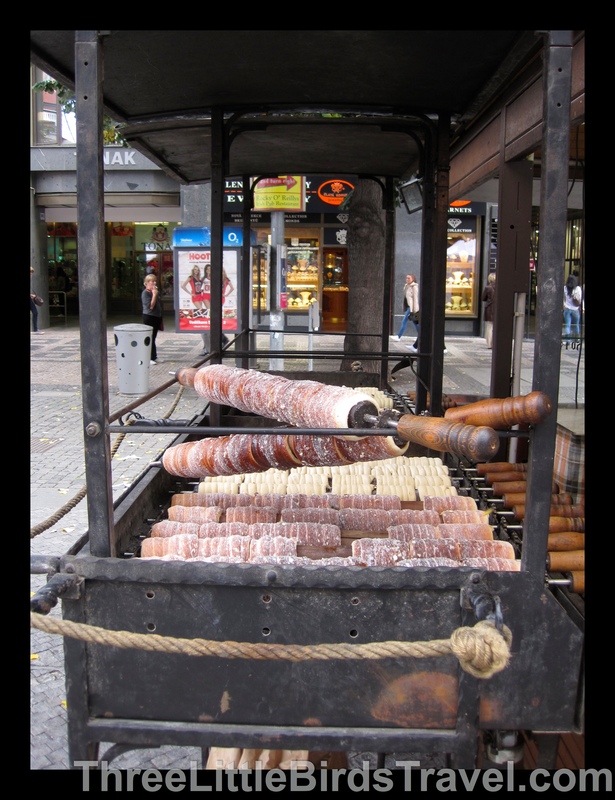 I found this tasty treat all around Prague and it’s absolutely delicious. It’s a perfect pick-me-up for when you’ve been walking all day and just want to sit on a park bench and relax. They come in different varieties, but my favorite was the cinnamon & sugar one. Important: Make sure you buy them FRESH! They are much better when they come right off the hot stick. 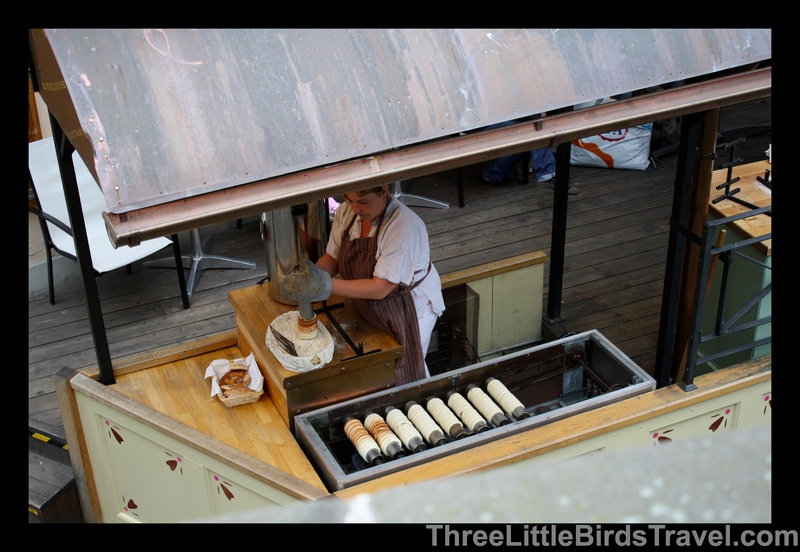 If you’re curious to know how they actually prepare these treats, you can click on this Trdelnik YouTube Video I found. Feeling extra ambitious and a visit to Prague isn’t in your near future? You can try and make these at home! I found a great recipe from Pauline’s Cookbook that you can try. Let me know how it goes! To see a collection of my favorite Travel Bites, check out my Eat, Drink, Travel Pinterest board.